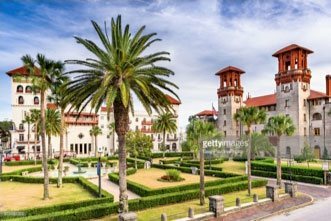 One of the most common questions we get asked is, “When is the best time to visit St. Augustine?” With so many wonderful things to do and see, visitors want to make sure that they’re visiting the Nation’s Oldest City during its peak season. Fortunately, there isn’t a bad time to book your stay. You’ll find plenty of fun things to do in St. Augustine all year-round. If you need some assistance in making up your mind, we are happy to help! Get some of our best tips for visiting St. Augustine below. When is the Best Time to Visit St. Augustine? Spring brings budding trees and warm weather to St. Augustine, as well as some fantastic food festivals! 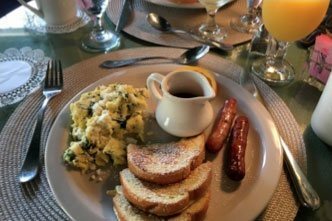 There is an amazing culinary scene in town, and a food festival is a great way to experience the best of St. Augustine in one easy trip. Consider booking your trip in time for the St. Augustine Lions Seafood Festival, the Rhythm & Ribs Festival, or Taste of St. Augustine, all of which take place in the spring. Be sure to add spending some time at the shore to your itinerary. While the weather during the spring is very comfortable, the St. Augustine beaches aren’t too crowded as it is still the off-season. Summer is the busiest time of year in St. Augustine, so visitors should expect some crowds. If you’d prefer to visit during this time but want to avoid the busy streets, consider booking a mid-week stay. You’ll still get to enjoy some of the best summer festivals, like Concerts in the Plaza, Music by the Sea, and The Old City Farmers Market. Each of these events takes place in the middle of the week! As the leaves begin to change and the kids return to school, St. Augustine starts to slow down. If you’re interested in touring the streets of our beautiful city but aren’t concerned about attending any special events, this is the perfect time to visit. Consider conducting your own walking tour or purchasing a ticket to the Old Town Trolley to explore the historic downtown district. It’s also an excellent time to do some shopping along St. George Street, a pedestrian-only thoroughfare that is home to some of the best shops and restaurants in town. Christmas in St. Augustine is a magical time that should not be missed! Guests from all over the world come for the famous Nights of Lights. During this month-long festival, the streets of St. Augustine glitter with the tiny bulbs from millions of Christmas lights. Consider booking any of the Nights of Lights tours, each of which allow guests to get a better look at the stunning sights. Once you’ve figured out the best time to visit St. Augustine, there’s only one thing left to do. 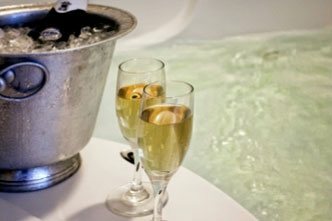 Be sure to book your stay at the best hotel in the city! 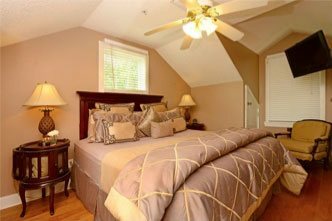 Agustin Inn is a historic bed and breakfast that’s centrally located in the historic downtown district. You’ll find dozens of great shops, restaurants, and attractions that are just steps away from our beautiful inn. 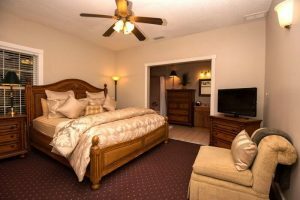 Whether you’re visiting nearby Flagler College or you’re on a romantic getaway with your loved one, there’s no place better to book than Agustin Inn!